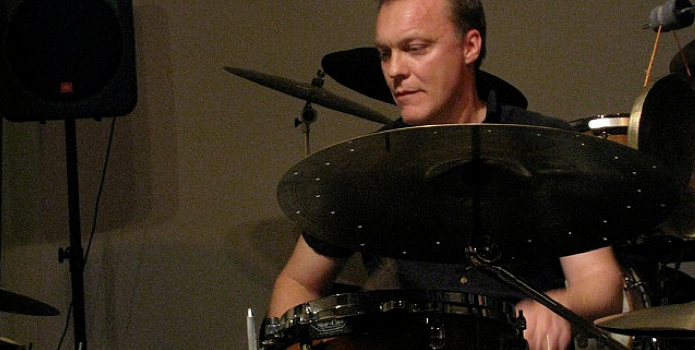 Drummer/vibes player Kjell Nordeson, who was born in 1964, currently lives and works in Stockholm, Sweden. Nordeson studied classical percussion with Björn Liljeqvist, principal percussionist of the Stockholm Philharmonic. 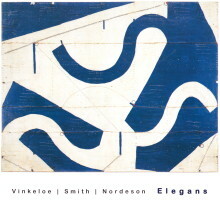 In 1986, Nordeson formed the longstanding AALY Trio with Mats Gustafsson. Nordeson has also collaborated with such musicians as Sten Sandell, Christer Bothén, Peter Söderberg, David Stackenäs, Martin Küchen, and Fredrik Ljunkvist. As a member of the AALY Trio, Low Dynamic Orchestra, Nacka Forum, Katzen Kapell, Firehouse, and Exploding Customer, Nordeson enjoys a healthy high profile in the Swedish music scene. In North America and Europe, Nordeson has done numerous tours with the AALY Trio and School Days. He has played in collaborations with Peter Brötzmann, Barry Guy, Joe Morris, William Parker, Paul Rutherford, Stephano Scodanibbio, and Ken Vandermark. In 1994, Nordeson founded Co. Alba with choreographer Nathalie Ruiz, which is also a platform for his work as a composer. Together, Ruiz and Nordeson produced a number of dance performances; the latest is the short film Désiré, a commission by Swedish Television. Nordeson has worked in theatre performances in Riksteatern, and The Royal Dramatic Theatre and Stadsteater in Stockholm. With choreographer Philippe Blanchard’s ensemble Adekwhat, he toured Germany, Finland, Israel, and Egypt.